Welcome to Edwards Air Force Base. The Edwards AFB School Liaison Officer (SLO) is your central point of contact for school related matters. The Edwards AFB SLO works directly with base leadership, families, school districts, and local communities to foster and promote quality education for military and civilian children. The SLO can help smooth transitions, provide up to date information on the base and local area schools, help guide in school selection and registrations, and advise parents on issues involving student placement or adjustment to their needs. Muroc Joint Unified School District oversees the schools located on Edwards AFB. These schools are Public schools and operate according to California Department of Education regulations. 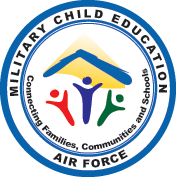 In addition to those families residing on Edwards AFB, all employees on base have the option to enroll their children in the base schools. Information on Muroc Joint Unified School District and their schools can be found at http://muroc.k12.ca.us/ . To learn more about education in California go to https://www.cde.ca.gov/ . For families not living on base it is important to research schools before making a housing decision. Within a 60 mile radius of Edwards AFB, there are over 12 school districts and multiple Charter and Private schools. Contact your SLO for a listing of all School Districts and Schools including websites and contact information. California statutes do not explicitly authorize homeschooling. Many public schools offer independent study or home-based study as an option. California also has a growing number of charter schools which offer different types of schooling in non-traditional settings. If a parent chooses to teach their child at home, in order to be exempt from the compulsory education laws they must file a California Private School Affidavit. For assistance and more information on public school options visit https://www.cde.ca.gov or contact your School Liaison Officer.